PstViewer Pro is a Windows software tool for managing email messages and converting them into PDF and other useful formats. Today we will show you how to configure PstViewer Pro to convert Outlook emails into sequentially numbered PDF files. PstViewer Pro uses a concept called Email Export Profiles to accomplish it’s work. Out of the box, PstViewer Pro comes with about twenty pre-defined export profiles. Each profile can be customized in many different ways to suit your specific project requirements. If you would like to follow along with this tutorial, download the 15 day free trial of PstViewer Pro. 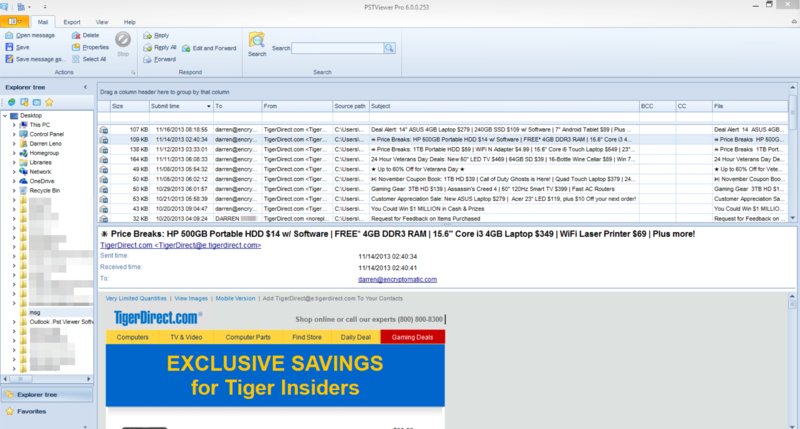 PstViewer Pro can export email messages to PDF in different ways, and provides you with a great detail of control over file naming, including the ability number .pdf files sequentially. 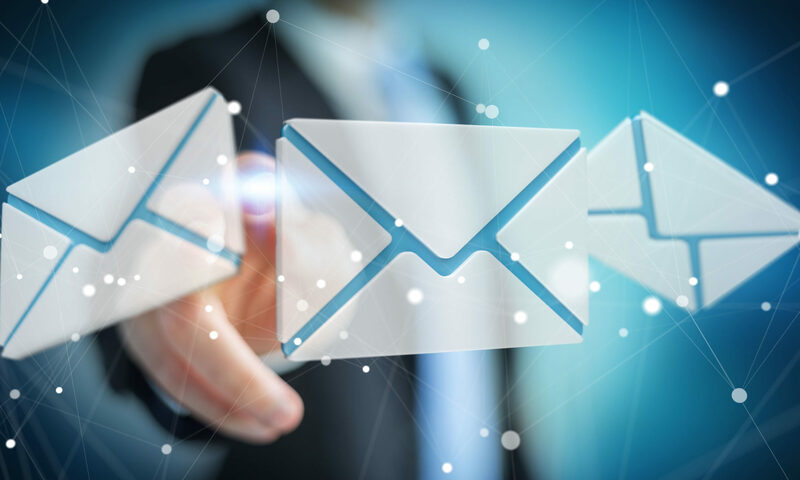 In situations where emails are introduced as evidence in a court proceeding, being able to number the resulting files makes it easier to identify specific content. We can do this by changing the file naming setting in PstViewer Pro. Select “Edit Profile.” The profile editor window will open. The current naming criteria is shown in the text box. Click in the box and remove the current settings. Next, click on and drag the “Increment” element into the text box. The animated file below to shows exactly how this is done. Click “OK” until you’re back at the main PstViewer Pro screen. 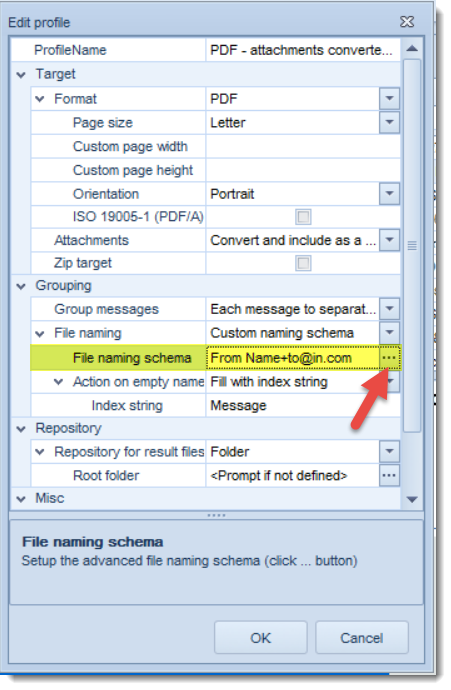 Now when you export your Outlook .pst, .ost, .msg or .eml email files to PDF using the “PDF – Attachments Converted/Included” profile, your exported files will have names that are incremental, such as 1.pdf, 2.pdf, etc. “Case-29328-100.pdf,” with “100” being the 100th pdf file created during the export. We hope that this has been useful to you. PstViewer Pro is very flexible. If you’re unsure whether or how a specific task with email can be accomplished with PstViewer Pro, just ask our support team. Visit the product home page for more information on Pst Viewer Pro software, or to purchase a license.